Cover all ingredients with water and bring to a boil. Reduce heat, cover, and simmer for an hour. Remove chicken thighs, discard skin and bones, shred chicken and return to the pot. Let simmer for another hour or two. 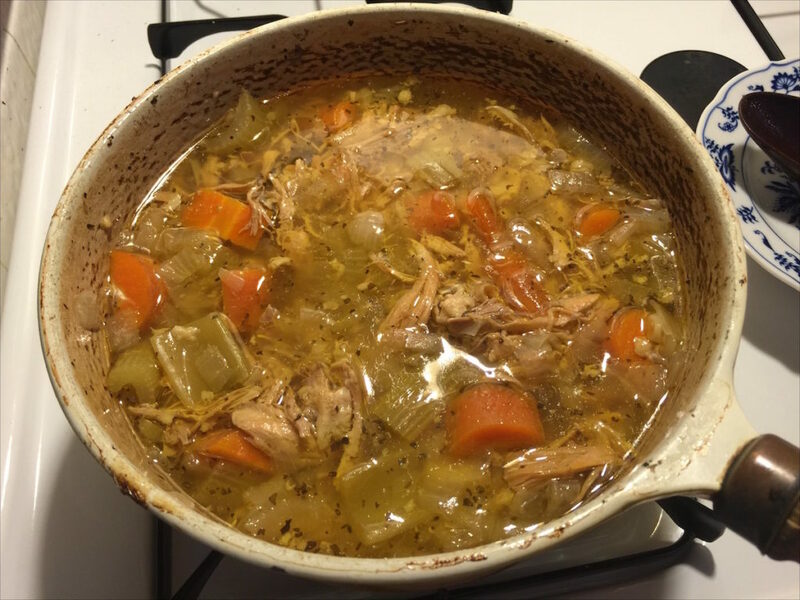 This entry was posted in Recipe and tagged chicken, Photo, soup. Bookmark the permalink.